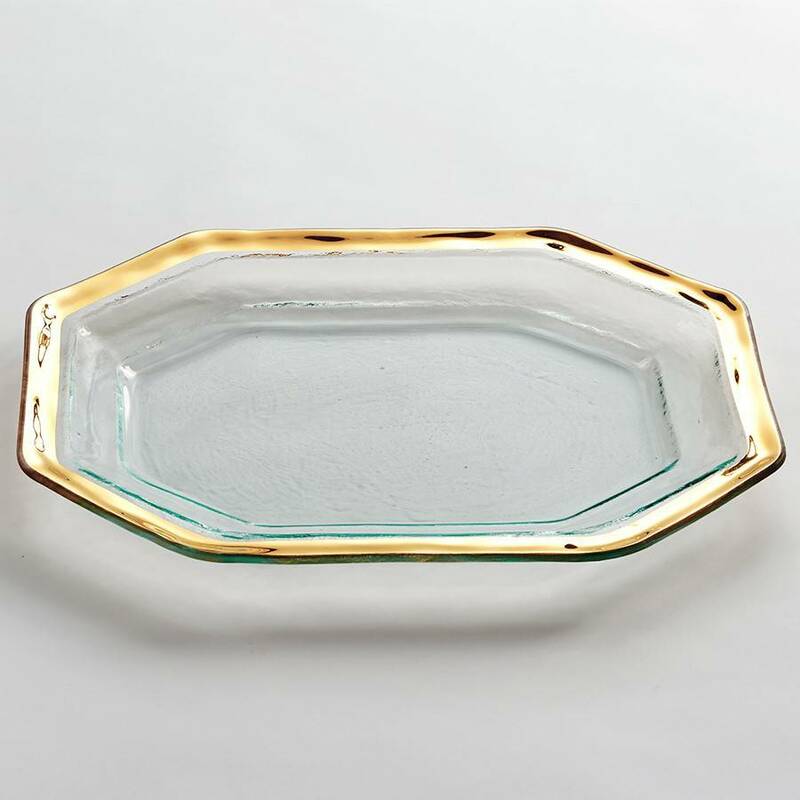 The Annieglass Roman Antique Steak Platter is styled in simplistic elegance with a clear glass base and hand-painted band of 24k gold or genuine platinum. The serving piece is set with a deep base that allows chefs and home cooks alike to transport scratch-made meals and barbeque to the table with ease. 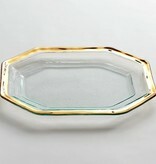 Sustainable handcrafted in the USA the Roman Antique Steak Platter makes for an impressive wedding gift.